Is Wired’s FREE cover story misleading? I just got done reading Chris Anderson’s 6,000 word preview for his upcoming book Free! Why $0.00 Is the Future of Business. 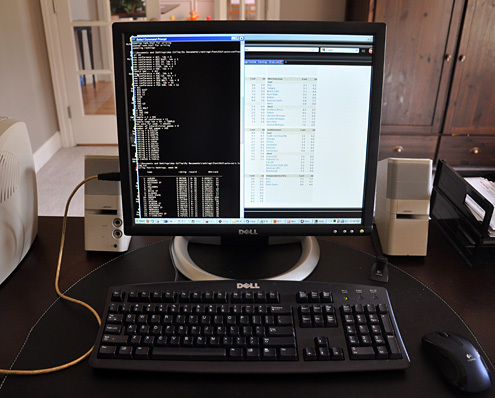 In short, the article examines cross-subsidies (read: giving away razors to sell razor blades) as they pertain to the web products and their near-zero operating costs. You can have a free lunch so long as someone else picks up the tab, maintains Anderson. While the article was informative, I don’t think the strategy of giving is “the future of business,” rather it’s an effective marketing tool for select web companies — not everyone, and especially not for offline ventures. Still, Anderson presents some compelling evidence that “free” will become more ubiquitous than I currently believe. 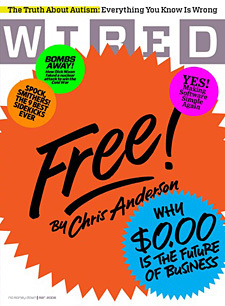 Ironically, and in an effort to deflect the “wait a minute, your product isn’t free” criticism, Wired is offering up to 10,000 copies of its March 2008 issue at not cost to you (a fraction of the 500,000+ issues the publisher sells every month, mind you). Not quite what I’d call “practice what you preach,” but then again, I don’t think Anderson’s article endorses the demise of direct sales altogether, even if his headline does.